This B&H Kit packages together two DJI Osmo Intelligent Batteries for the Osmo gimbal system. These batteries are the same as the 980mAh, 10.8Wh battery that comes with the Osmo gimbal, and can be charged using the Osmo Intelligent Charger that's also included with the gimbal. 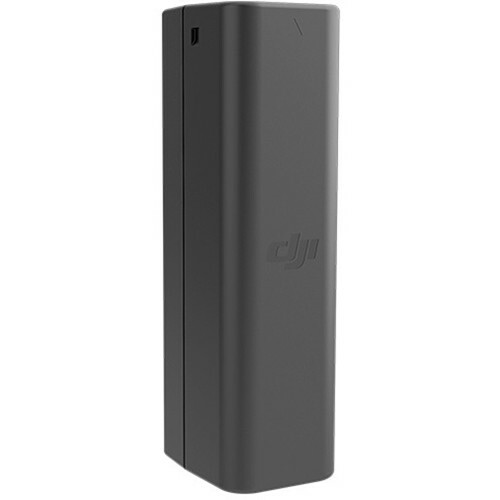 Designed specifically for the Osmo handheld gimbal system, the LiPo Osmo Intelligent Battery from DJI has a 980mAh capacity and features intelligent battery-saving features. Note: Only recharge using the Osmo Intelligent Battery Charger, sold separately. Box Dimensions (LxWxH) 4.488 x 2.284 x 2.126"